Cooking needn’t be as difficult you think. 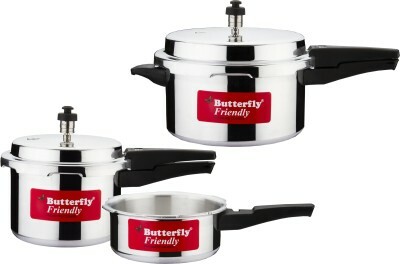 Bring home this pressure cooker from Butterfly, and cook vegetables or boil rice with ease. 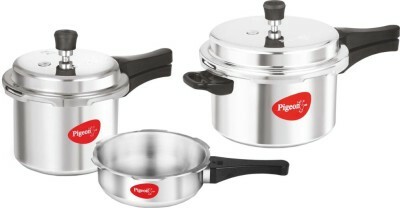 Its Precision Weight Valve, Safety Valve, and Gasket Release System provide a safe cooking experience. 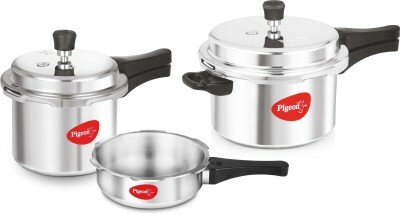 Also, handling this pressure cooker is made convenient, thanks to its Sturdy Handles. Precision Weight Valve This valve regulates the cooking steam pressure which keeps you safe and saves your time. Safety Valve In the event of the vent pipe getting blocked and the pressure rising beyond a safe level, this valve releases the pressure and the excess steam through a small hole fitted to the top of the lid. 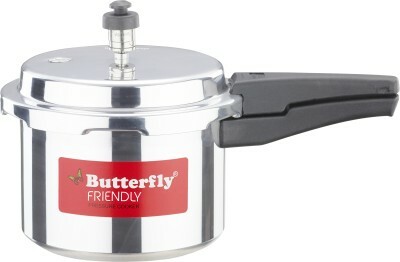 With no worries about safety, you can truly enjoy cooking your favourite dishes. Sturdy Handles Its aesthetically designed handles, which are fitted with two screws for additional strength, stay cool and are easy to grip. The lock arrangements in the handles provide easy uni-directional rotation. Designed to be durable and efficient, these easy-fitting handles make cooking easy and efficient. Gasket This cooker’s gasket is made of specially formulated food-grade rubber which lasts for a long time. Your food is left unaffected in terms of colour, taste, or odour. 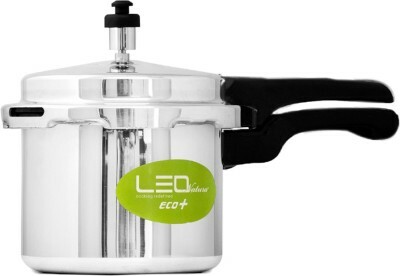 Gasket Release System This pressure cooker ensures that safety is the utmost priority. The gasket will bulge and release steam through the slot if there’s any blockage in the vent tube. 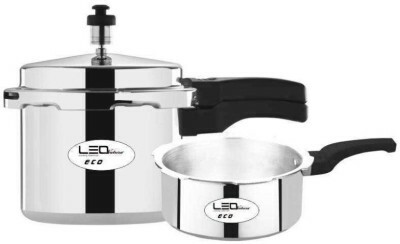 Made of Superior Aluminium Its superior quality virgin aluminium build makes this cooker resistant to scratches and stains. After cooking, just wash it with a mild dishwashing cleanser, so that the stains don’t settle. 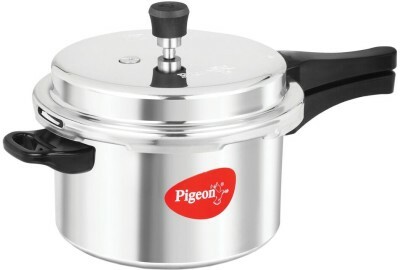 Induction Base Its thick, machine-pressed aluminium base features a concave bottom which helps in retaining the shape for a long time. 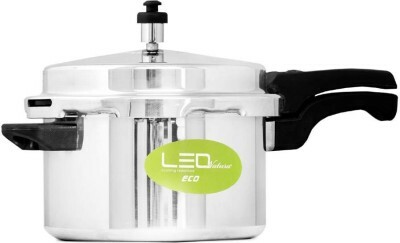 This pressure cooker is suitable for both an induction stove and an LPG stove.